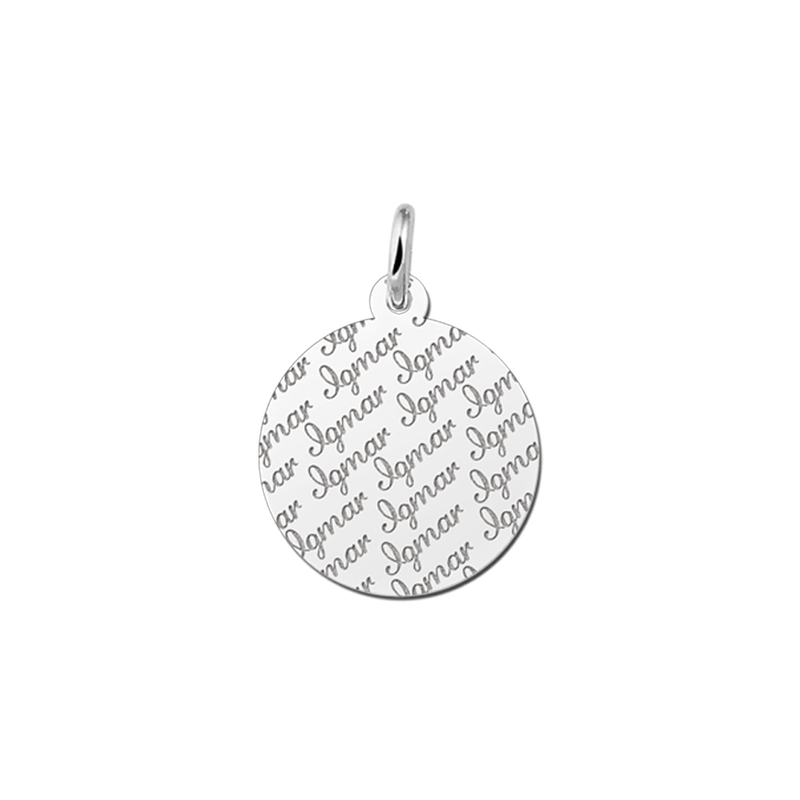 Silver Disc Necklace – Personalise Favorite Model Now! Silver Disc Necklace - Why Is It So Popular? The reason why the silver disc necklace that we offer at Names4Ever is so popular arises from the fact that while it will provide the wearer with an understated and let elegant look, and it can also be customised to suit even the most unique of needs. 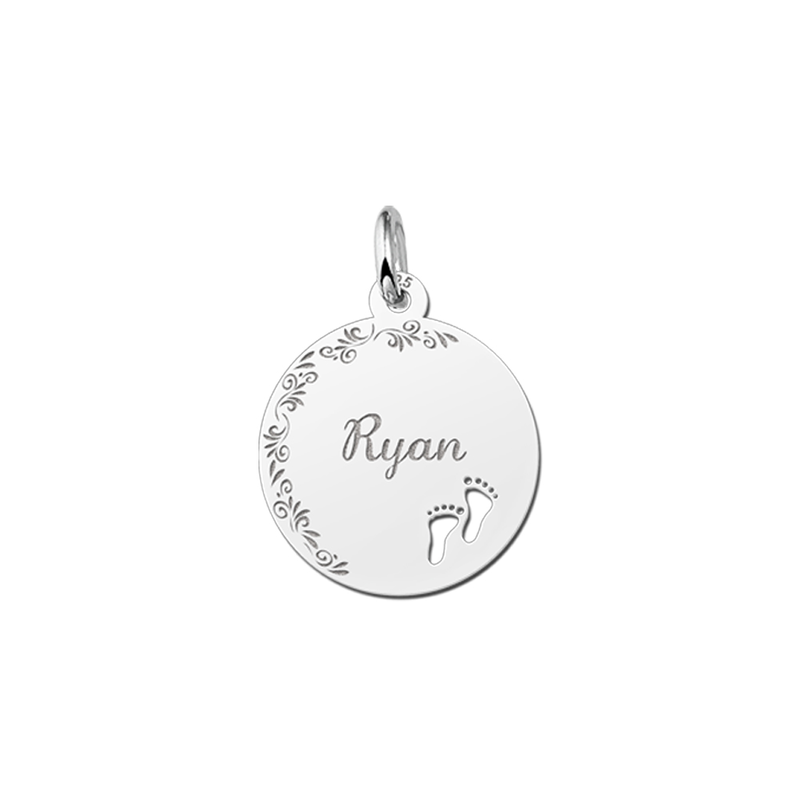 So, a silver disc necklace could be used to mark the day that a couple met while it can just as easily be etched with baby names or even a pair of baby feet. 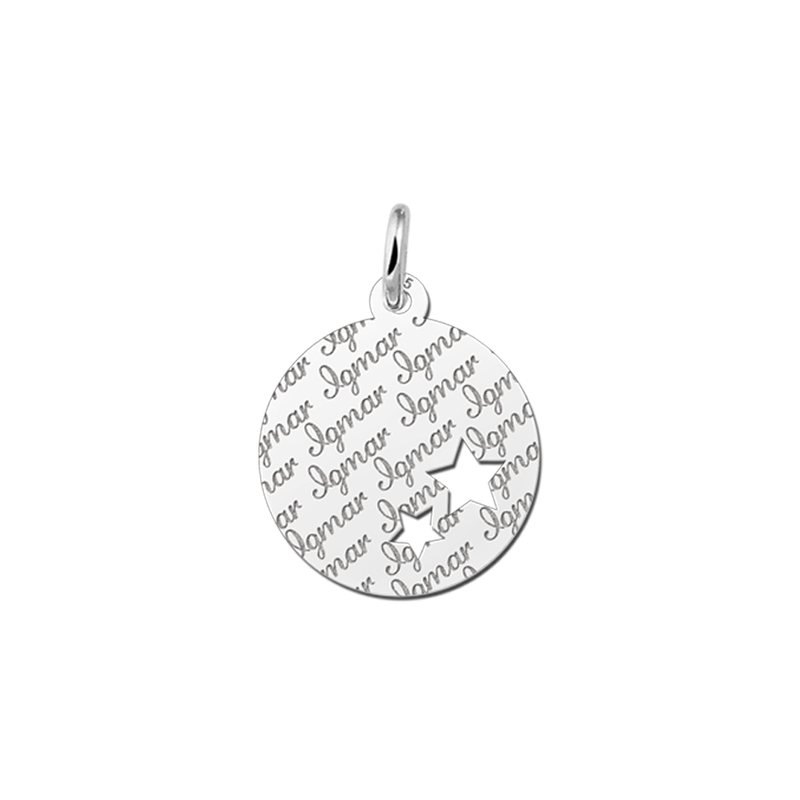 This disc necklace in silver is indeed quite flexible in the visual amenities that it has to offer. 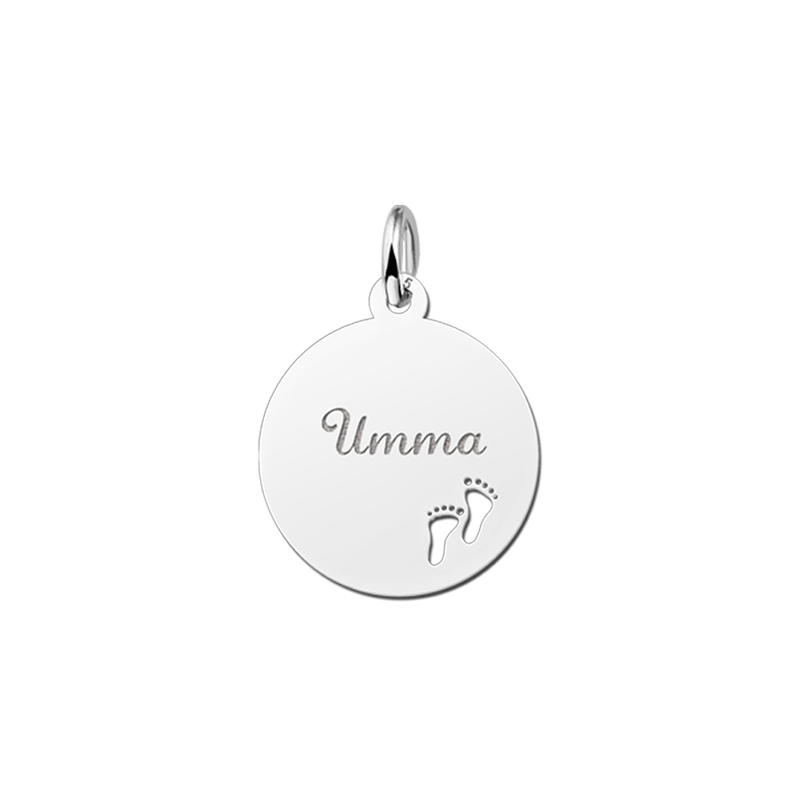 As a silver gift pendant may also be seen as a good luck charm, the appeal of this type of jewellery is simply undeniable. Throughout the ages, silver disc necklaces have always held what can only be called an unspoken allure. Perhaps due to an innate connection to the moon, the metal silver has even been seen to hold magical properties from time to time. Thankfully, this attraction has not dulled within the twenty-first century and if anything, silver is a welcome alternative for those who may not be able to afford a gold disc necklace. However, these two metals can also be used in combination; the user can achieve a unique look that will perfectly fit any attire. 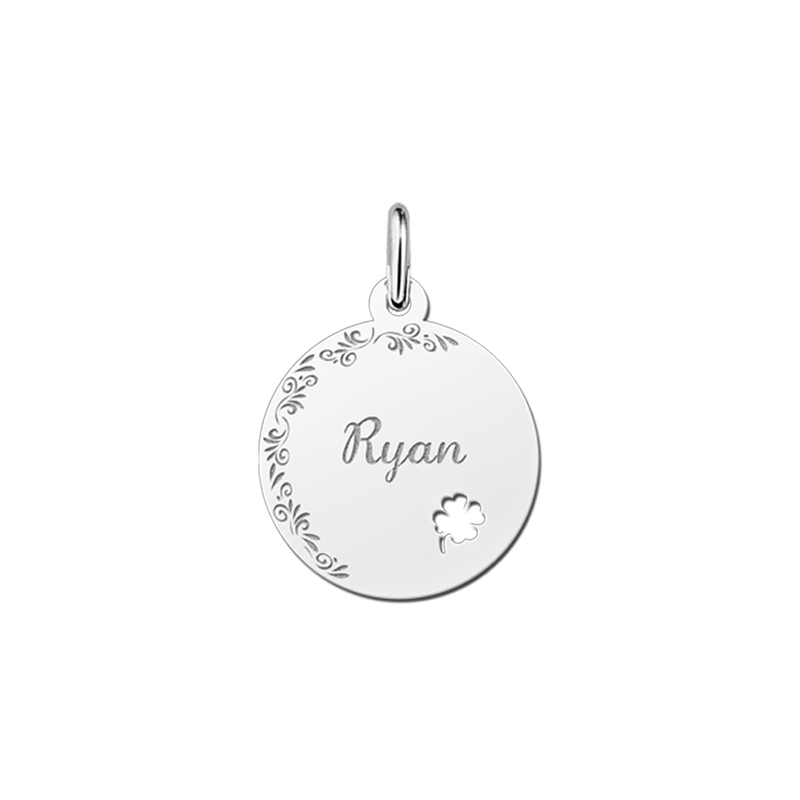 The selection of small silver disc necklaces that we offer is one of the most diverse in the industry and therefore, you will always have the ability find the design that sets itself apart from the masses. 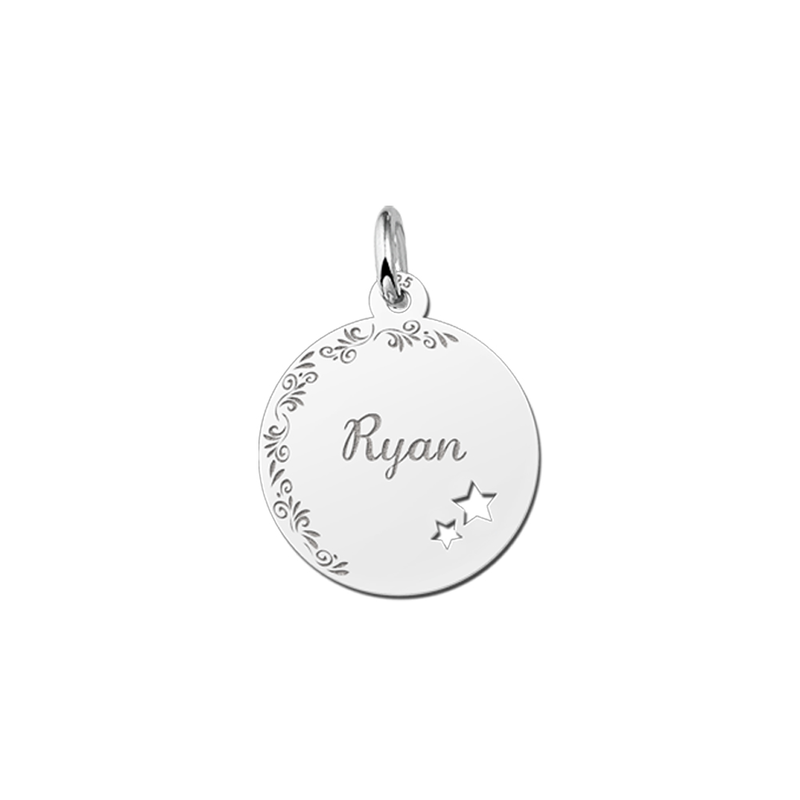 In turn, you will be able to turn heads in both formal and informal environments. Silver Disc Necklace - What More Do You Need? Although a gold disc necklace is certainly a tempting option, silver disc necklaces are just as ideally suited for those who may not be able to afford gold. However, we should also remember that some simply enjoy the sheen of silver more than its glistening counterpart. In either of such cases, a silver disc necklace is a great alternative. Of course, silver is a metal that is seen to offer nearly universal applications. While excellent for commemorating the birth of a child, it is just as ideal at providing a bespoke elegance when celebrating a twenty-year anniversary. As there is something quite pure when referring to a silver disc necklace, it should come as no surprise that these items are popular throughout the United Kingdom. Also, let us not forget that a personalised gift necklace is a great keepsake for girls of all ages. As mentioned previously, we are proud to offer you a unique selection of silver disc necklaces at Names4Ever. 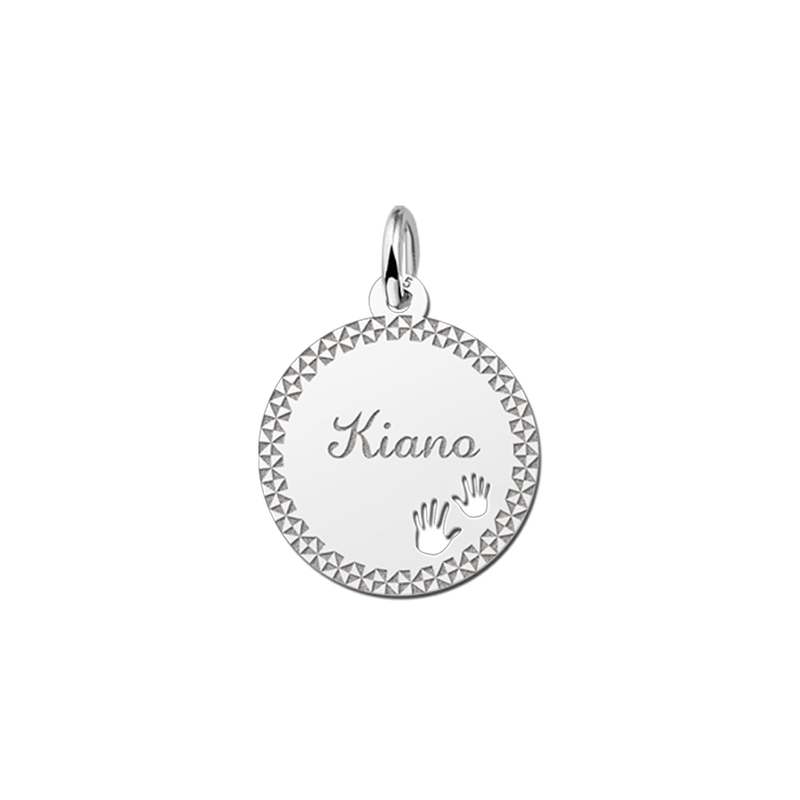 This arises from the fact that just as no two relationships or life experiences are alike, so should every silver disc necklace reflect this one-of-a-kind attribute. The centrepiece of this jewellery can be etched with any name imaginable while there is also the choice to add a border around the periphery; perfect at drawing further attention to this silver disc pendant. We firmly believe that any such item needs to meet and exceed the expectations of the customer. 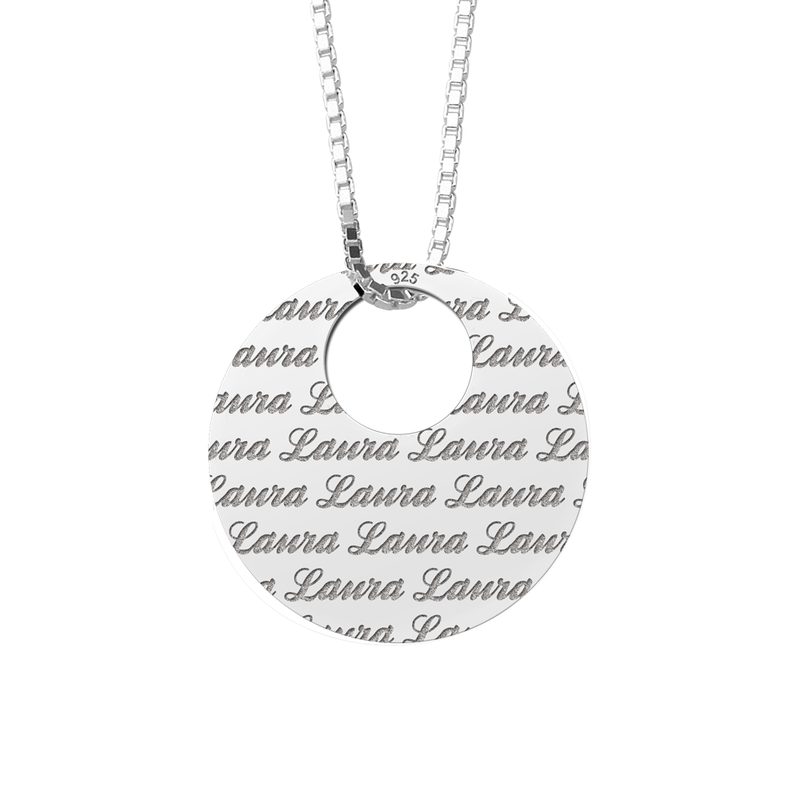 Therefore, these silver disc necklaces are certainly aimed to please. 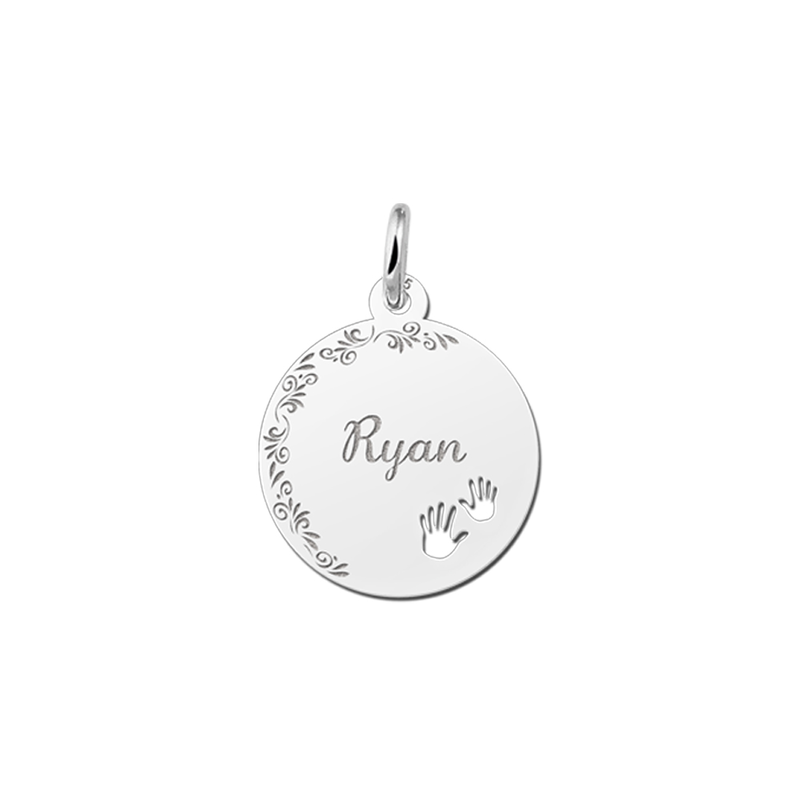 When we add to this the undeniable convenience of purchasing these and other items directly through our online portal, it has never been easier to own such a unique testament to love, friendship or commitment. As we also offer swift delivery to your location and free shipping, you can remain confident in the fact that the perfect silver disc necklace for you or that "special someone" is never truly far off. If you are seeking for only the most original, beautiful and stunning selection of this and other types of jewellery, you have come to the right place. Please feel free to browse our collection to find exactly what it is that you are looking for.